This year, the Montgomery County Education Association (MCEA) – the teachers union – decided to support Ben Jealous for governor. Fine, so far. But this just got very awkward after last night’s education forum. Except for Rich Madaleno from Montgomery, all of the other candidates, including Ben Jealous, embraced a new wealth based formula for education funding that just kills Montgomery. I imagine it also does little for affluent Howard. The new formula zeros out funding for Talbot, Kent, and Worcester counties. Not only would it eliminate all no state aid for these three Eastern Shore jurisdictions, it also would require all that money to be made up in local taxes. Every penny cut would be required by state law to be replaced by local funds. If there is one thing MCEA opposes, it’s cutting funds for Montgomery County Public Schools. Now, they’re supporting a candidate who wants to siphon large sums of money away from Montgomery to other jurisdictions. Beyond the large number of portable classrooms, Montgomery faces a growing number of students who need extra help for a variety of reasons but who don’t come from families with a lot of extra money to help pick up the slack. In the past, Adam Pagnucco has written about state funding formulas are already skewed against Montgomery, even as we face burgeoning problems in the public schools. Separately, a hike in the millionaires tax, paid primarily by Montgomery, has helped fund a burst of construction in Baltimore and elsewhere in the State. While this is awkward for Montgomery advocates of greater state school funding who support a variety of candidates, I imagine it might dismay county officials who support Rushern Baker at least partly in the hope that the D.C. area would get more attention to its increasingly serious needs. But the problem is particularly acute for MCEA. They’ve found themselves behind a candidate whose platform would result in enormous pressure on the salaries and pensions of their members or force major cuts elsewhere in an already pressed county budget despite county efforts for years to protect education funding. I can’t speak to the process, though the last time I saw Craig speak out publicly in this way was to defend constituents against George Leventhal’s atrocious behavior on the dais. I also am not knowledgeable to assess MC staff pay. What I can tell you is that Montgomery College is the least discussed major asset in the county and does far more good than will ever get mentioned. In particular, it does more to promote upward mobility than any other institution. For starters, it provides an affordable, accessible path to a college education. The idea of taking out ginormous loans to pay for an away-from-home school like UMD understandably scares the bejeezus out of many people who loathe debt and have never seen remotely that much money. It’s also not the most cost effective way to pay for a college education. The cost effectiveness of MC also means that government gets far more bang for its buck in terms of outcomes. MC makes it possible for students to live at home and pursue degrees at their own pace, commonly while holding down a job to support themselves or help defray the far more affordable cost. Students who earn their associates degree are also then well prepared, if they choose, to pursue a four-year degree at a college like UMD. Another virtue of many of MC’s educational programs is that they are geared toward obtaining practical skills in various areas that lend themselves to employment immediately upon graduation in fields as diverse as teaching, hotel management, nursing, and cybersecurity. As a result, it provides students with skills that result in higher wage employment and employers with more highly skilled employees, which makes Montgomery a more attractive place to do business. Additionally, MC provides needed vocational training. Too often, education is talked about in terms of college or nothing. But not everyone wants to or is going to college and a lot of jobs require skills. As anyone who has hired a plumber or had their or A/C unit fixed knows, many non-professional jobs pay a lot better than unskilled labor. In short, what MC provides is a range of real opportunities for students looking to move up the ladder at an affordable cost to both the students and the government. Ramping up institutions like the University of Maryland has aided the state and DC suburbs enormously. But we should not underrate the role played by Montgomery College in not just training students but also providing many different employers with skilled workers. By Michael Knapp, Chair, Montgomery College Board of Trustees. Since the presidential campaigns of 2016, candidates for numerous state and local offices have identified providing free access to college as a campaign issue that polls well, primarily because of high cost of college. Unfortunately there have been very few candidates who have actually thought through the practical elements of what this means: What do you pay for – tuition only? Who is eligible? What schools are included? And most important, how is it paid for? As the Maryland General Assembly goes into session this week and we begin an historic election year in Montgomery County, we wanted to raise this important issue and provide some perspective on how it can be considered. At Montgomery College, providing affordable access isn’t a poll-tested tagline, it’s an economic imperative without which our community and residents won’t grow to meet the needs of the future. We know that without a skilled workforce our employers can’t grow and without clear career pathways into the workforce most residents won’t be able to move into jobs that provide a wage that will allow them to live in our community. As a result, we take this discussion very seriously and have given a great deal of thought about how to make increasing access a reality for thousands of members of our community. With an issue this important, there must be a framework of key principles to form a foundation on which to build such a plan. We see those as the following. Any program will require significant public and private investment, and there must be a clearly defined return on investment that includes providing clear pathways for students into the workforce and a pipeline of skilled workers for local employers. Increasing access to college for students often requires considering more than just free or reduced tuition — it may mean providing assistance with transportation, childcare, food, and housing. Free isn’t free — all students must be willing to provide a measurable contribution to their own success in return for increased access. The path to higher education and the resources needed must be clear and transparent so that all who are interested can readily take advantage. The program must be sustainable — there must an identified and consistent source of revenue to make this program reality each year. Success must be defined and the outcomes measured. We know that at least 65 percent of all jobs require an education beyond high school and that, in a community like Montgomery County with such a high cost of living; it is an imperative to ensure that residents have ready access to the skills needed by local employers. In addition, the goal set by the College and Career Readiness and College Completion Act of 2013 is that 55 percent of adults aged 25 to 64 will hold an at least an associate’s degree by 2025, and this degree must be able to assist residents in obtaining skills employers need. Yet, even with the vital importance of this type of program it is also critical that this not be just another debt that will be borne by the students or the community to pay later—there must be a real and sustainable funding source. We have explored models throughout the nation and are developing a series of recommendations to present for consideration with our civic, political, and business leadership. The important thing to note is that there are innovative strategies that we can use to implement this program beyond just raising taxes on our residents. Montgomery County’s economic and wage growth has slowed, and we are on the verge of an election season that will have an unprecedented number of candidates seeking local and state elected office. Now is the time to have a real conversation about how to provide increased access to higher education for the benefit of our community. Our ability to get this done will have a lasting impact on the lives of our residents and our local economy — the leadership of Montgomery College is committed to working with all interested parties in making this critical concept a reality, provided that they are committed to a real dialogue that addresses the principles we’ve outlined and not just looking for an easy sound bite. Michael Knapp served on the Montgomery County Council from 2002 through 2010. Governor Larry Hogan is the most dedicated opponent of Maryland public schools in recent memory. And now, new rankings of states in a respected education publication show how effective he has been. Education Week, which ranks public school systems by state, rated Maryland’s public schools as fifth in the nation as of 2017. That’s a decent rank, except when you consider that the publication rated Maryland number one every year from 2009 through 2013. Maryland scored particularly low on its achievement gap between low-income and high-income students, ranked as 42nd in the country. The decline in the state’s ranking is no surprise since it’s perfectly consistent with Governor Hogan’s record on public schools. Consider what he has done in his first two years in office. He cut public school funding in his first budget. Note that almost three-quarters of the cuts applied to three jurisdictions: Prince George’s, Montgomery and the City. What do they have in common? You guessed it: they all voted against Hogan by large margins. Hogan resisted calls from the General Assembly to restore the cuts, so they passed a law making the program mandatory. Hogan waved the white flag of surrender, admitting that he did not have the votes to sustain a veto. If he had gotten them, those cuts would have continued every single year. He withheld teacher pension aid for counties in his second budget. Ultimately, Hogan agreed to release the money but only when the General Assembly agreed to provide an equal amount in corporate welfare to Northrop Grumman, one of Hogan’s top policy priorities. What kind of Governor plays games with school funding in order to get more money for corporate welfare? He is jamming public school boards with public school skeptics. He is pushing hard for tax dollars to be sent to private schools. At the same time that Hogan has been trying to cut funding for public schools, he is doing everything in his power to send tax dollars to private schools. Last year, he got the General Assembly to agree to $5 million in funding for vouchers. Now, he is pushing to expand the program to $10 million. The Governor continues to support a corporate tax credit for businesses contributing to private schools and introduced a bill that would have allowed charter schools to compete for state public school construction funding. Hogan’s behavior is straight out of the playbook of Donald Trump’s nominee for U.S. Secretary of Education, Betsy DeVos: starve public schools and send the money to the private sector. Hogan even put his own twist on it by using public school money as a bargaining chip to get corporate welfare for defense behemoth Northrop Grumman. The Governor’s intentions are beyond doubt. Only one question remains. Governor Larry Hogan has refused to spend $25.1 million that the General Assembly allocated toward education. Apparently, this is because he’s piqued that the legislature did not give the discretion on how to spend the money. Among the $25.1 million is $6.1 million that would have gone to fixing aging schools. Governor Hypocrite has made a cause célèbre of bringing air conditioning more quickly to Baltimore schools but is uninterested in upgrades when he’s not at the center of headlines or they were the legislature’s idea. An additional $19 million would have helped local school systems cover the cost of employee pensions, allowing them to free up the money to improve education. Hogan said no. Instead, Hogan is giving $20 million to Northrup Grumman in a huge dollop of corporate welfare. Avowedly, this bribe to Northrup Grumman is to “retain” 10,000 new jobs in Maryland. Except that the fine print of the Department of Legislative Services (DLS) report reveals that NG is not required to create a single job to get the money. Bad idea for so many reasons beyond the Trumpian “believe me” approach. First, Northrup Grumman won’t release the taxes it pays to the State, so we don’t even know the benefits. Does NG pay any taxes to the Maryland? Apparently, “don’t ask, don’t tell” has finally found a new home at NG. Second, unlike some corporations, Northrup Grumman can’t easily move. It has a complex, heavy plant that would be very expensive to rebuild or relocate. The jobs require high skill workers who aren’t going to move or be replaced if NG up and moves to low tax Kansas or Louisiana. Most important, they do a lot of secret work for the federal government and it is very helpful to be near DC. Third, and perhaps worst of all, the General Assembly already gave Northrup Grumman a $37.5 million tax credit in the past session with the Governor’s enthusiastic backing. So the total amount that NG is receiving at the trough in $62.5 $57.5 million. Yet Hogan won’t release $25 million more appropriated to the schools. Finally, corporate welfare is a bad idea that both Democrats and Republicans should loathe. Democrats should dislike it because its a giveaway to the wealthy. Republicans should hate it even more, as another government expenditure and market-distorting industrial policy. Businesses should compete on a level playing field. Maryland is never going to compete for business as the cheapest destination. Here’s a novel idea for Gov. Hogan’s consideration: let’s continue to invest in education so that our citizens remain the best prepared and most competitive in the nation, so we can attract good jobs on our merits rather than cash. Will Hogan Sign the College Affordability Act? We have a serious problem in our state. 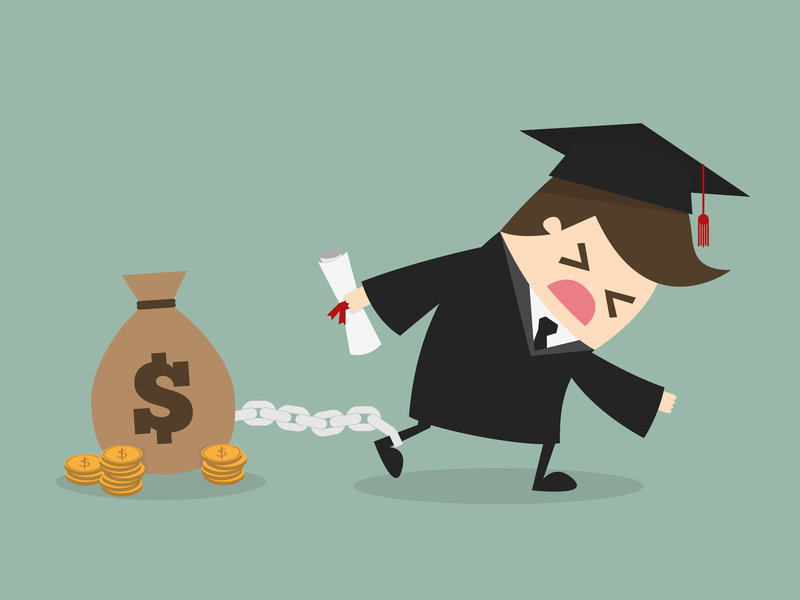 Too many Maryland students simply cannot afford to go to college, and too many graduates are loaded down with excessive amounts of student debt – the average debt of a college graduate in Maryland exceeded $27,000 last year. If we do not get control of the spiraling cost of college, we will confine a generation of our young people to poor employment and economic opportunities. This year the Maryland General Assembly passed “The College Affordability Act of 2016” (SB676 & HB1014) to address this serious concern. Reduces the cost of student loans by providing tax credits to Marylanders paying down their student debt. The College Affordability Act of 2016 will impact up to 20,000 Maryland families every year, and it passed the General Assembly with overwhelming majorities. Now it’s time for Governor Hogan to sign the bill into law! Sign the petition to help amp up the pressure on the Governor to take a small step towards reducing college debt. It’s a Change Maryland should support. The following is an excerpt from a letter sent by the Montgomery County legislative delegation to Governor Larry Hogan. Emphasis added. 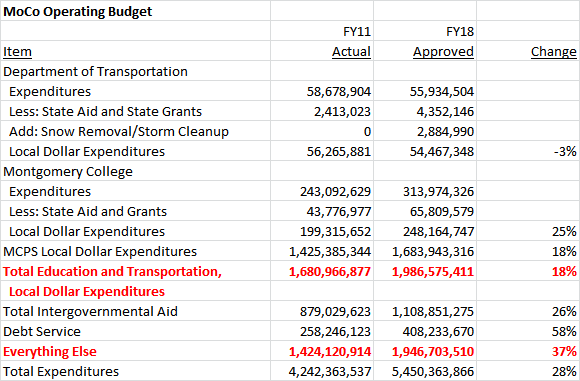 As you know, your unilateral decision to spend $480 million on a new jail will result in unreasonable delays in funding for major projects at numerous universities. One of the projects that will be delayed by your decision to redirect funding from higher education to the Baltimore City jail is a long-planned expansion of the Universities at Shady Grove (USG) in Montgomery County. . . . It is a sad, unfortunate and startling fact that Maryland spends more on corrections than it does on higher education. This is exacerbated by your decision to fund the Baltimore City jail over higher education. Again, we understand there is a clear need for a new correctional facility in Baltimore. However, there is a capital improvement plan already in place for such a new facility. Note that many of us would support expediting the plan given the deplorable conditions of the facility. But, expediting the entirety of the new jail facility at the expense of higher education is pure folly. Respectfully, if Maryland is “open for business,” then we must invest in higher education for many reasons, including providing an educated workforce for current and future Maryland businesses. “If Gov. Hogan’s goal is to make sure every student has the opportunity to succeed, BOAST (now called the Maryland Education Credit by private school advocates) should have been the last option on his list. It’s a voucher-like scheme designed to move tens of millions of taxpayer dollars from public schools into private schools. Not only does it create new tax breaks for corporations, it would only help students who can already afford to attend private school. It would do nothing for low-income students except make it harder to fund their public schools. “BOAST is opposed by nearly 60% of Maryland voters—including a plurality of Republicans—at a time when Marylanders believe their public schools need more funding, not less. Support for private school education is a distraction from the larger education issues at hand, like reducing standardized testing, closing opportunity gaps, and increasing public school funding.